Lowe’s wanted to educate its Facebook follows about what can happen if you don’t change your home’s air filter. They created an interactive video where viewers can flip their phone/mobile device to view what could happen if they change their air filter versus what might happen if their air filters aren’t changed. In less than 24 hours, the video had over half a million views. The video below is best viewed on a mobile device, which allows you to flip your phone around and view the opposite image. Let’s face it, Facebook users like to be entertained. Buzzfeed regularly posts humorous videos on its Facebook page, which regularly receive tens of thousands of views in minutes. 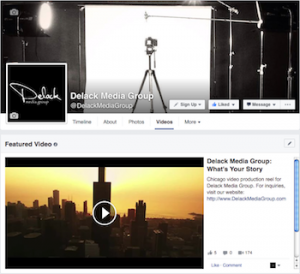 On your company’s Facebook page, you have the ability to file all of your posted videos into a virtual library. The featured video is posted prominently at the top of that virtual library. Use the featured video as an opportunity to announce an upcoming event or promote your most recent video. In your Facebook page’s “virtual video library”, you have the ability to create playlists. Why are these helpful? Once you start to develop a large list of videos, users may get overwhelmed sifting through hundreds of videos to find the one that might apply to them. By creating a playlist, you’re categorizing videos into similar topics. Fox example, you could create a playlist of “How To” videos or maybe a playlist with “Product Demos”. The possibilities are endless! 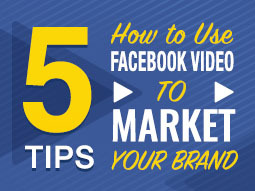 For more ideas on how to improve your brand’s online video marketing presence, contact us today!